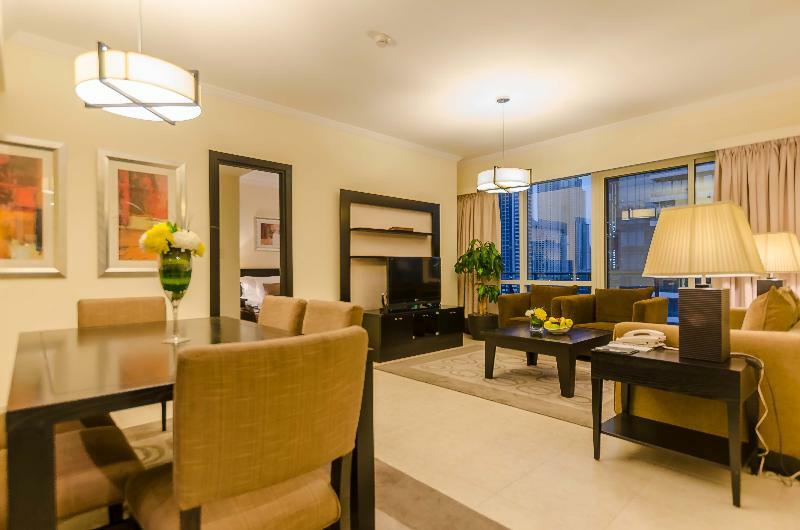 The location is great in the middle of Dubai Marina and close to Dubai Marina mall and JBR. I have booked three bedrooms but unfortunately the three bedrooms was the worst in the view. 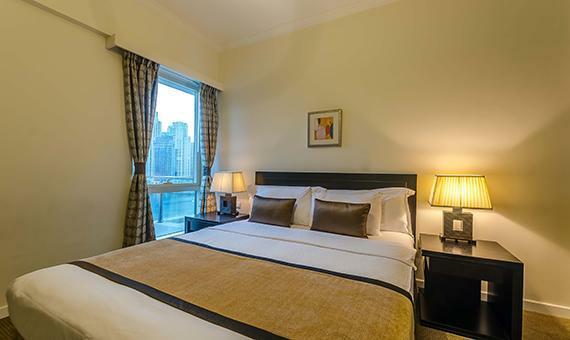 i would highly recommend to book the premuim two bedroom even it its the most expensive option because you will get a one million dolar view to the marina from the living room and the two masterbedrooms. these rooms comes as number 6 in each floor. The pool and the gym are really great. yet the jacuzi and the steam requires maintenance. The only challenge is that the internet is somewhat hard to connect to. This has been an ongoing problem at Nuran for several years. Somewhat improved but not up to other hotel or residences standards. 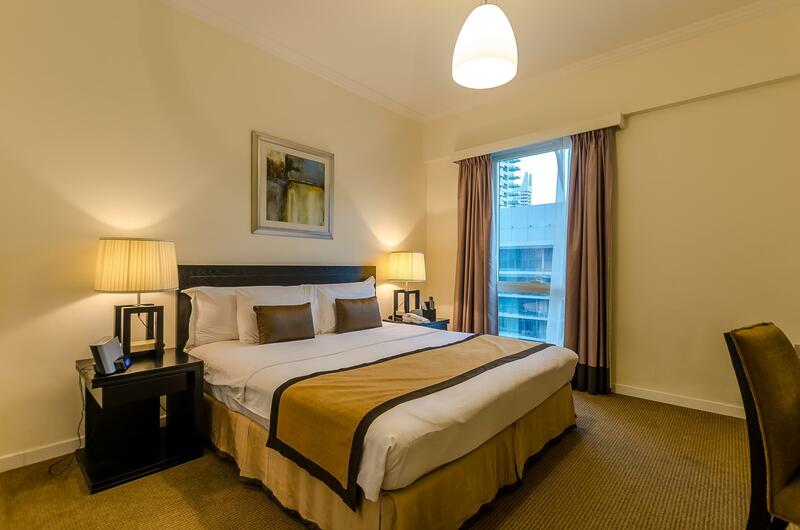 The hotel staff are very helpful, the location is very good and the room is good and clean. Overall it's overpriced nofrills apartment, they spend on making decoration look good but being cheap on the comfort basically lipstick on a pig. Cheapest material I used for bedding, the mattress is like a mattress topper on top of box spring so hard with no flexibility, the sheets are hard on skin and pillows are like the sofa pillow hurts your neck. The artment is a low rise 9 story building without the gate sign and non of the taxi drivers we used during our stay knew about Nuran. All the studio units are facing the street so you will hear the traffic if you are a light sleeper. Worst of all is the foul smell, the first unit bathroom had lingering swage smell and second unit had a nasty smell like a dead cat or something everywhere probably coming from ac. Upon arrival there was only on towel provided and heater switch was off so we had cold water had to call, the staff seemed friendly but unprofessional, some couldn't stop staring at my girlfriend. Zero sound proofing from neighbours! We also happened to have noisy neighbours who were having a party, we told reception and they did nothing. We couldn’t sleep until 5:00am. Rooms are ok, but for the fact that you can hear a pen drop next door, there’s no point in staying here. Honestly: - The location and the staff are very good. - The furniture is old. 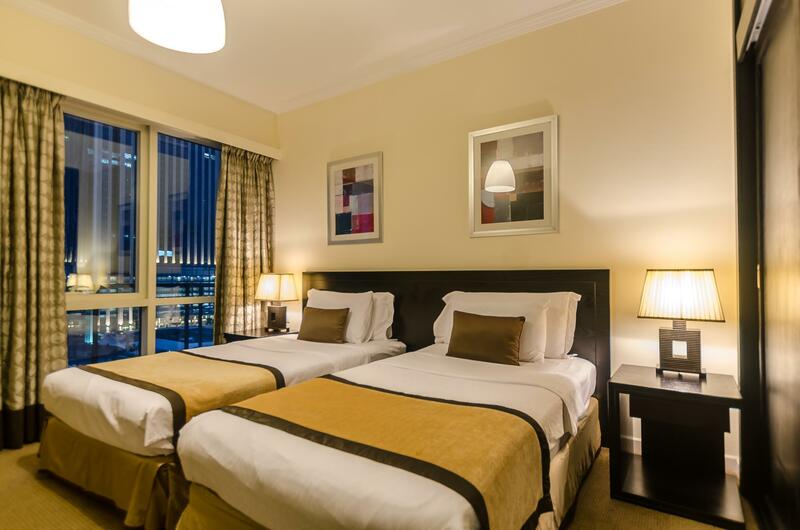 - We have booked two-bedrooms, unfortunately, both rooms with double beds, no two single beds. - The gym facilities are not very good, unfortunately, old equipment, they have no towels you have to bring your own and no wipes to clean the machines after use. The Appartment was very clean and Huge! We rented out a 3bedroom Appartment and our Stay was fantastic! Staff were very Helpful. There's full kitchen equipments for cooking and location was really great few minutes walk to Jbr beach,Dubai marina mall ,infront of Carrefour and lots of restaurant/shops. Price is worth it. I will definitely book again a room here. Apartment on six floor just a little tired. Other wise location was the best in Marina. Staff good, we arrived Eaily due to early flight, room was ready after 2 hours wait about 1pm. 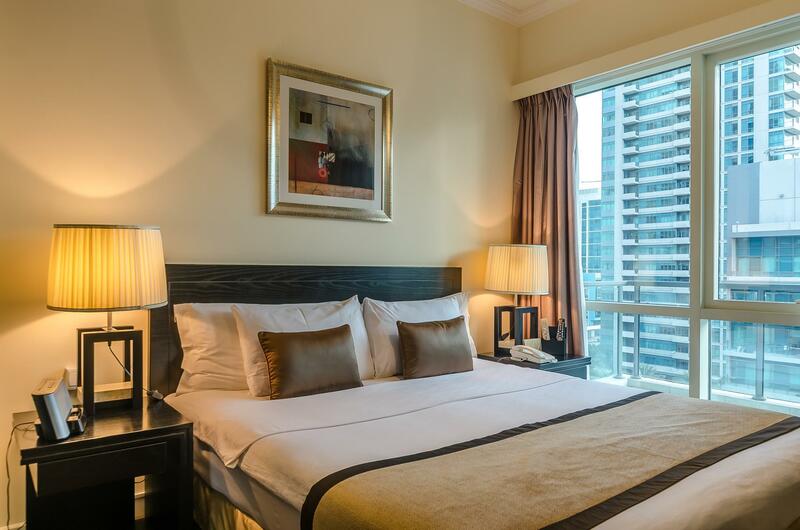 Great place to stay to explore dubai! 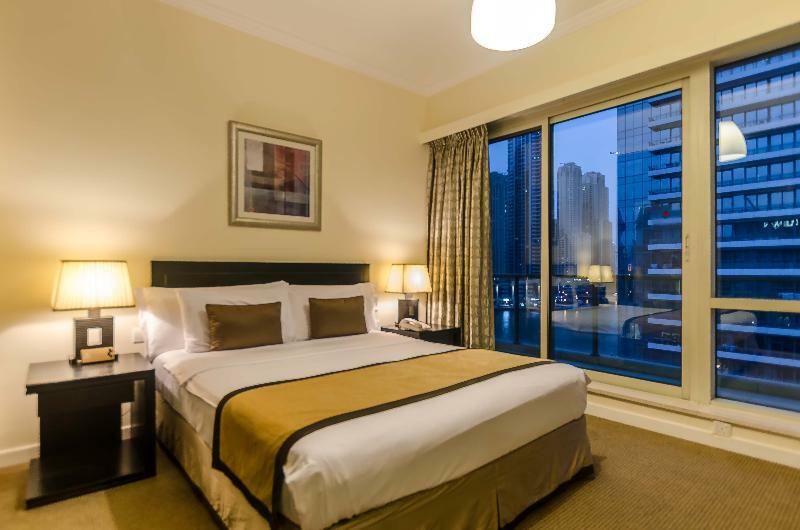 near the tram / airtrain station and next to the marina pier with a lot of shops, the dubai marina mall and restaurants. super helpful and very friendly staff. Great Location. Rooms spacious. Pool small. 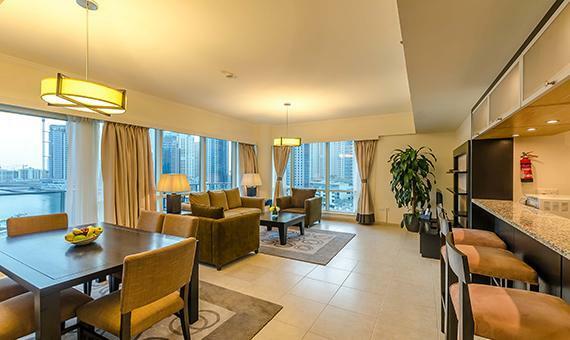 สถานีรถไฟใต้ดิน Jumeirah Lakes Towers - ระยะ 0.38 กม.